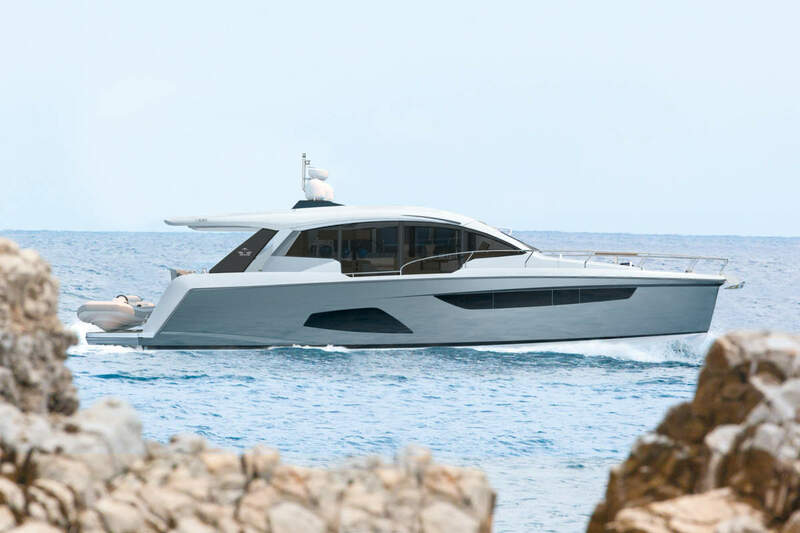 The V48’s light-weight, resin infused hull is designed to quicken the transition to plane and so improve efficiency while providing a performance that is both assured and exhilarating and she is equally competent at low speeds too with the latest Volvo IPS engines and drive system making even the tightest of marina manoeuvres a simple operation. The main deck is enclosed and features a spacious saloon which provides a wonderful escape from the heat of the day yet for true ‘open boating’ this can be swiftly transformed via a large powered roof and triple sliding doors that connect to the aft cockpit to create one large alfresco area. Deep teak steps either side of the cockpit lead through transom gates to the bathing platform which is large enough to stow a tender and can be fitted with a raise/lower mechanism making water sports easily accessible. Below decks the lower saloon provides a more intimate haven in which to relax and is ideally located adjacent to the galley which has been equipped to provide everything needed for an extended stay on board. Two large en-suite cabins provide sumptuous accommodation with a vast and exceptionally light owner’s stateroom amidships and a forward guest cabin with the option of a ‘scissor berth’ system to create a double or twin beds as required. 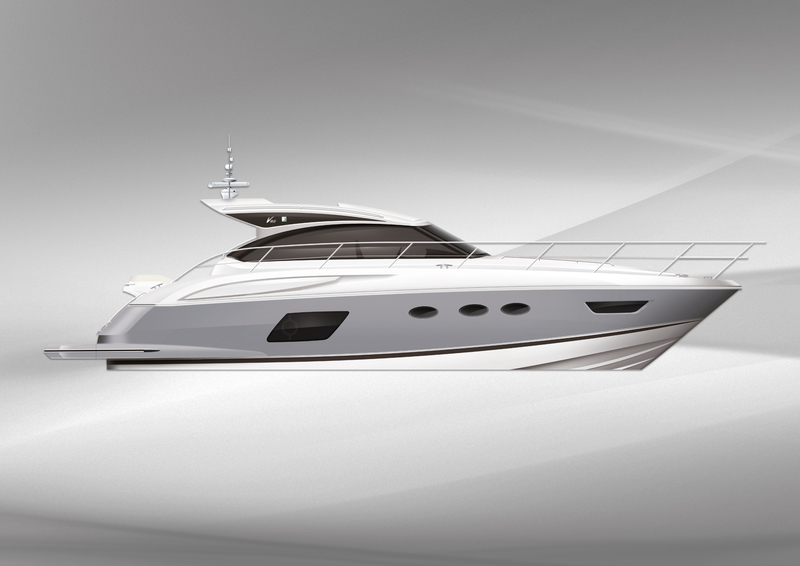 As with every Princess the new V48 has been designed to perform and is impeccably finished throughout. With her breathtaking good looks, dynamic performance and versatile accommodation, the V48 looks set to keep Princess leading the way for mid-sized sports yachts.